I’d say it’s about time to finish up the last little bit of content from my trip to Australia. With working full time and studying part time it can be rather difficult to find some down time to work on our content. 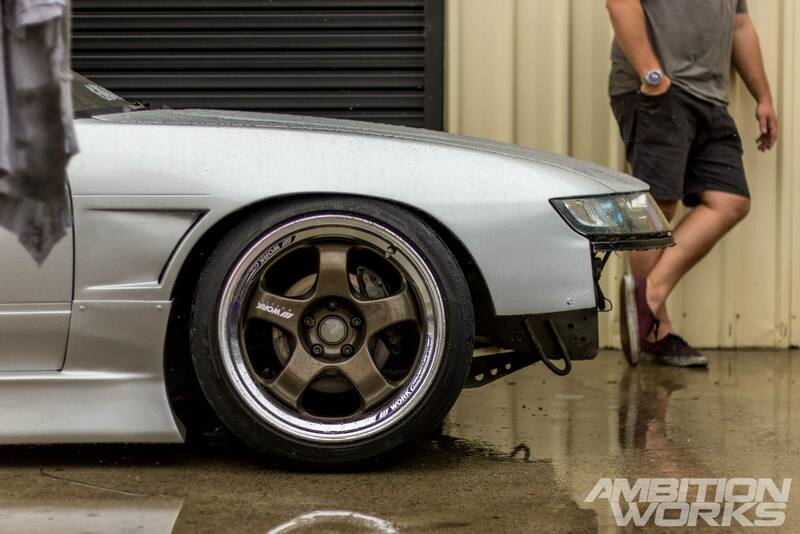 During the short visit in Australia we managed to shoot four feature cars, a 180sx club meet and greet, and Garage 13. 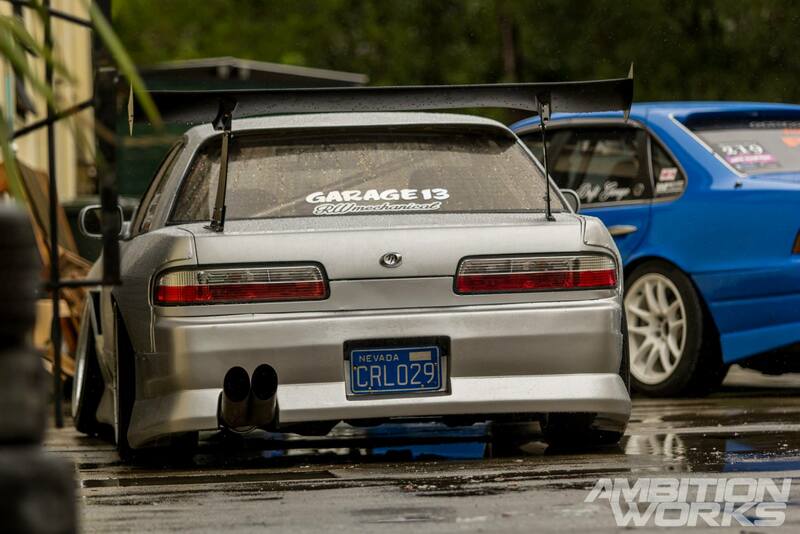 The last car belongs to the main man behind Garage 13. Beau has built this custom S13 with an Odyssey front end conversion with a vision of it being one of the raddest Silvias on Australian soil. I think we can say if he hasn’t achieved that, he soon will! 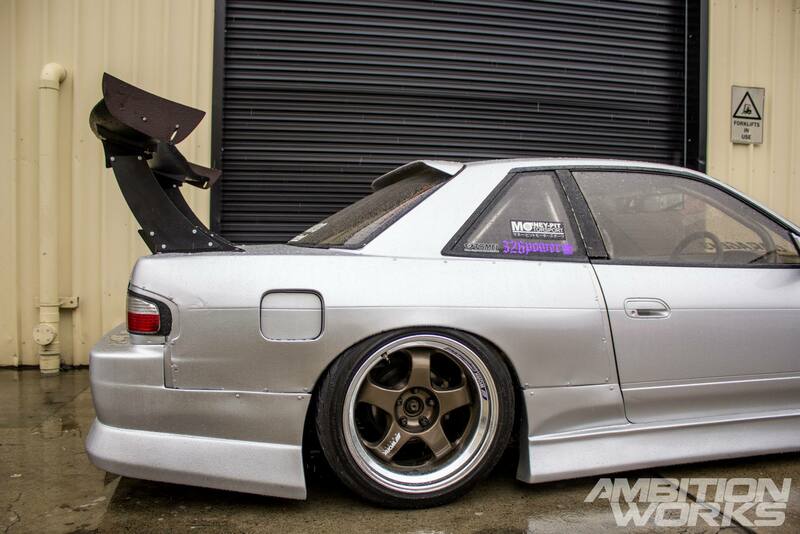 Extended wide guards, massive boot wing, subtle roof wing, BN kit, Work Meister wheels… There is not much that this car is missing from the rear end that’s for sure. The only missing part is the front bumper which is still in the process of being modified to fit the Honda front ended Nissan. The Odyssey headlights have to be one of the coolest set of headlights to come out from Honda in my opinion, especially when chucked on the likes of an S-Chassis. The car pushes out about 340HP at the wheels, that’s enough to get you in trouble real quick. This is however a full on track only car, so I am told. 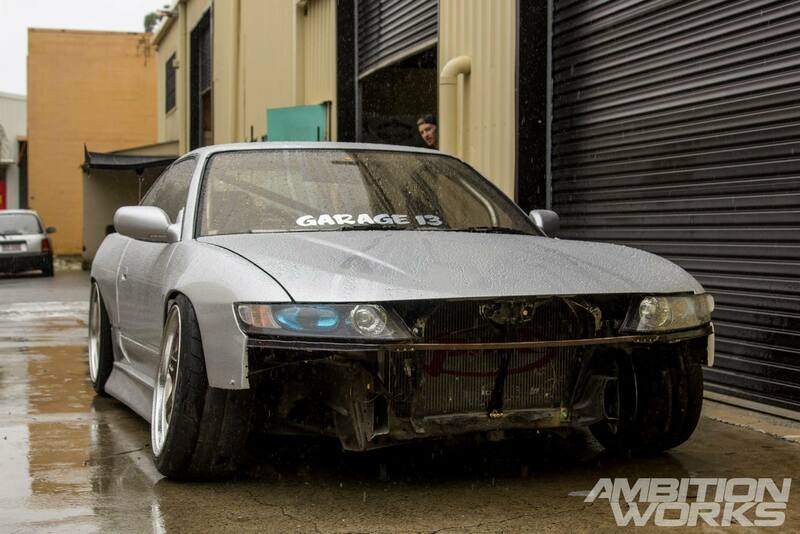 As of now it has been sticked up for the recent weekend long Matsuri that just went down in Australia. 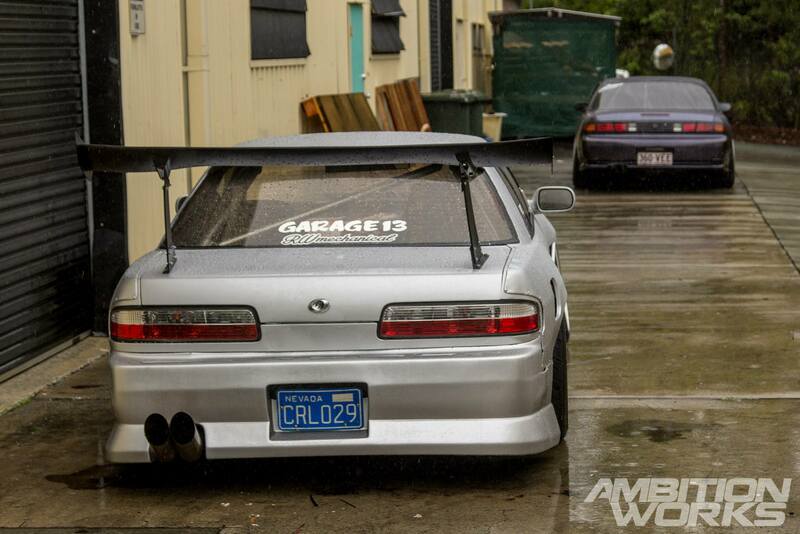 If you want to see just how rad this car looks stickered up all anime like, jump over to their facebook fan page. It’s not every day you get to shoot a whole bunch of new cars. It was challenging only having a driveway to work with as only a few of the cars were barely road legal. And of course the rain didn’t stop throughout the morning. Although the rain does get rid of the sparkles most cars had in their paint it did give them a really clean finish; that kind of finish only water can give. 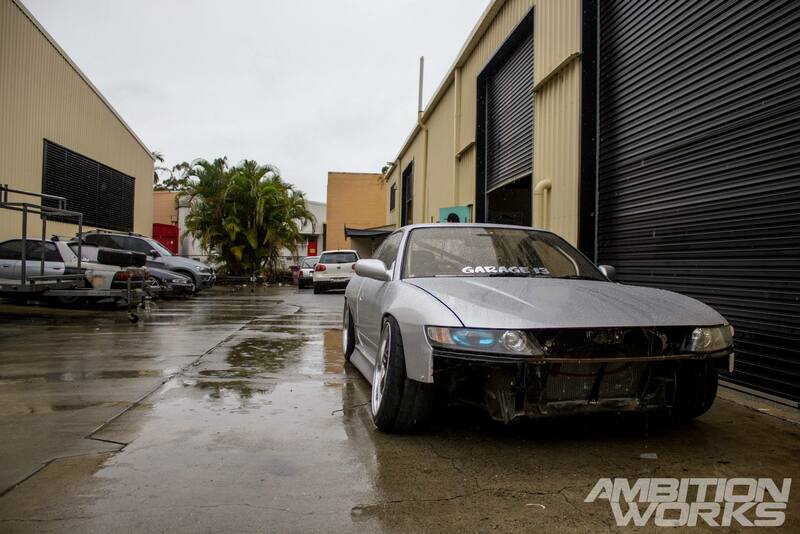 Holding the body off the rained out ground was a set of Silkroad coilovers as well as cusco suspension arms. The steering geometry had been heavily worked with drifting in mind. It boasts IKEA formula tie rods, 326 power knuckles, 32mm extended lca’s and the rack moved forward. Putting all that suspension gear to work is an LS1 powerhouse engine, Isky 230/236 cams, new valve springs, a mafless tune, PWR radiator, aeroflow fuel rails and much more. Beau would have had no problems with power at their recent Matsuri event. Putting all that power to the wheels is a T56 6 speed gear box with a NPC clutch and a cusco 2 way differential. But look at that wing though, it can really change the look of the car and in my opinion, in this case, it is for the better. It’s kind of sad now that I have been through all of my content from Australia. 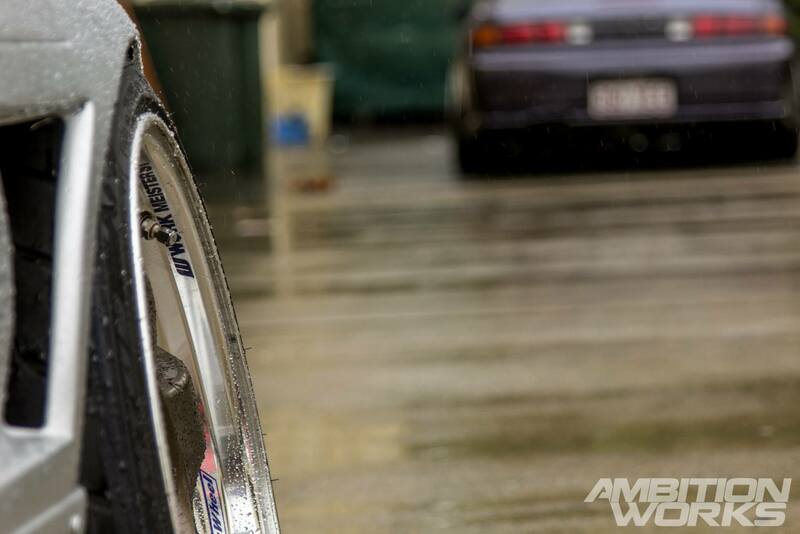 We have shown you Matt’s super clean Evo, Chris’ sweet 180SX, Mark and Aaron’s drift Silvia’s, Club X and all their 180SXs from the Gold Coast, and Garage 13 and all of their totally rad drift cars. The trip may have broken the bank, but it was well worth it. 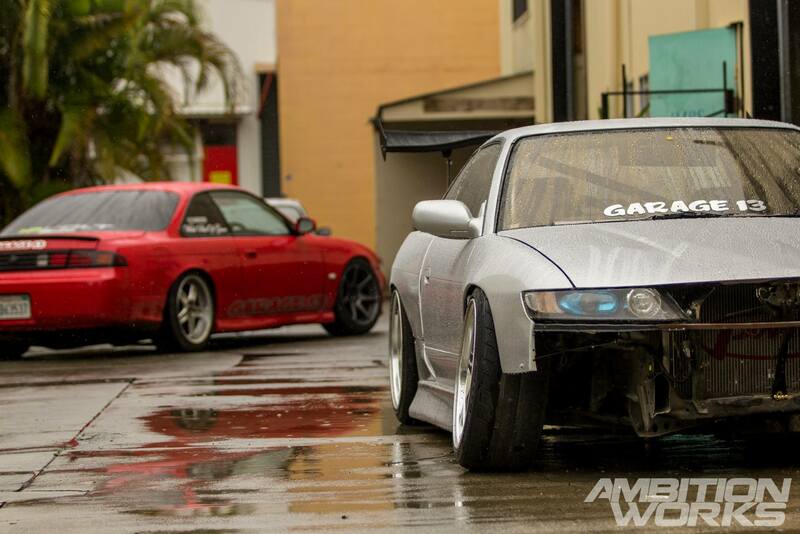 We made a few friends and met some cool individuals that have crazy car builds. It’s a shame to think that our Australian content has been exhausted. But… That’s where the good news comes in. In a few months we will be automotive hunting on the other side of the world, so expect some more articles later on in the year when we get back from our second overseas automotive adventure!